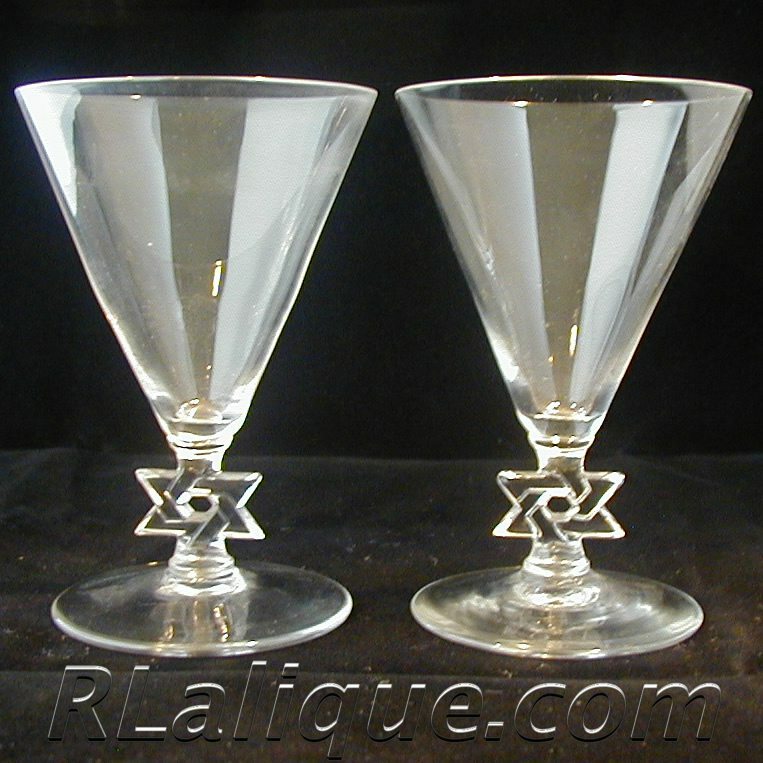 Rene Lalique Colmar Jewish Star of David Stemware: Set of two, four, or six! Clear and frosted rare Lalique Star of David design stems in excellent condition. 10.5 cm tall. Other sizes and items from this extremely rare service are available. Inquiries are welcome.